Health and Safety is a key concern for our team when starting any new project. We take into consideration the health, safety and wellbeing of any person who might be affected by our work – whether that is your staff, our staff or your neighbours. We will work to, and often exceed, the H&S policies and standards of our clients and we adopt their standards as ours, which helps us to continuously develop our approach to safety at work. We have a continuous training plan at Domino, where Health and Safety is the number one priority, and we hold project by project ‘Toolbox Talks’ so that we are constantly drip feeding health and safety messages and maintaining safety knowledge within our direct and sub-contract labour, all of whom hold CSCS cards. 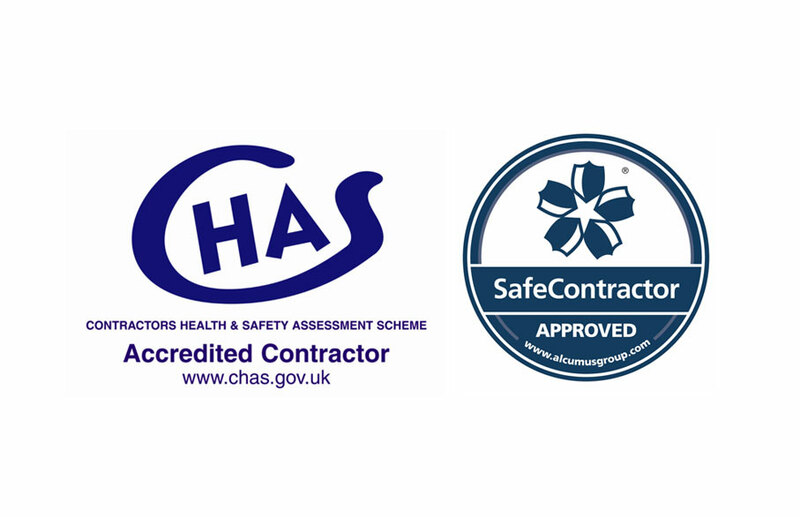 We believe that our professional approach to Health and Safety, and continuous training programme, can give clients total confidence that their projects are in the safest of hands.